The Ultimate Travelling Camp (TUTC) has introduced its new luxury camp ‘Sangam Niwas’ for the Kumbh Mela 2019 scheduled to take place in Allahabad from January 10 to March 06 . Specially curated for the discerning traveller, TUTC’s latest offering aims to provide the quintessential essence of the Kumbh Mela to seekers of spirituality. Positioned at the highest point of the Kumbh Mela, Sangam Niwas is located on a hillock overlooking the Sangam and offers the perfect vantage point for guests to soak in the atmosphere and experience the largest spiritual congregation in the world. 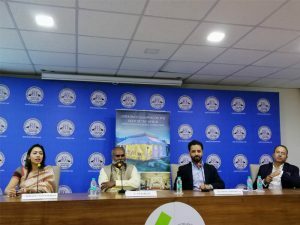 Sharing more details at a press conference, Rajnish Sabharwal, Chief Operating Officer (COO), TUTC said that the company is setting up 44 glamps (glamorous camps) at the mela site. “Sangam Niwas offers a perfect opportunity to closely experience Kumbh Mela in Allahabad. Our camps offer exceptional services such as unlimited WiFi at the Reception Tent, 24/7 security and paramedic on site, 24/7 electricity, the library at Reception Tent, Wellness Center for rejuvenation and temple for the evening ‘aartis’,” he said. In a bid to attract more foreign tourists, the Ministry of Tourism will take a slew of measures to promote the upcoming Kumbh Mela globally. The 49-day-long fair is scheduled to begin in Allahabad on January 2019. 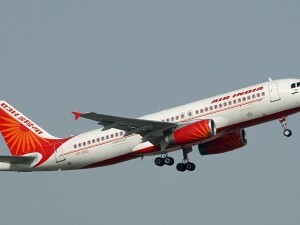 In a written reply in Lok Sabha, KJ Alphons, Union Minister of State (I/C) for Tourism said, “The Ministry will launch ‘Chalo Kumbh Chalo’ campaign across the country and other marketing campaigns to promote the fair. We are organising the ‘Pravasi Bharatiya Divas’ in Varanasi to attract ‘Pravasi Bharatiya Delegates’ to visit the holy congregation.” “We will lay out advertisements promoting Kumbh 2019 at major international airports of the country to attract foreign tourists. 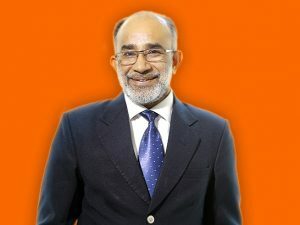 We will also develop designated area for flag hoisting for 192 countries visiting Kumbh Mela,” Alphons added.